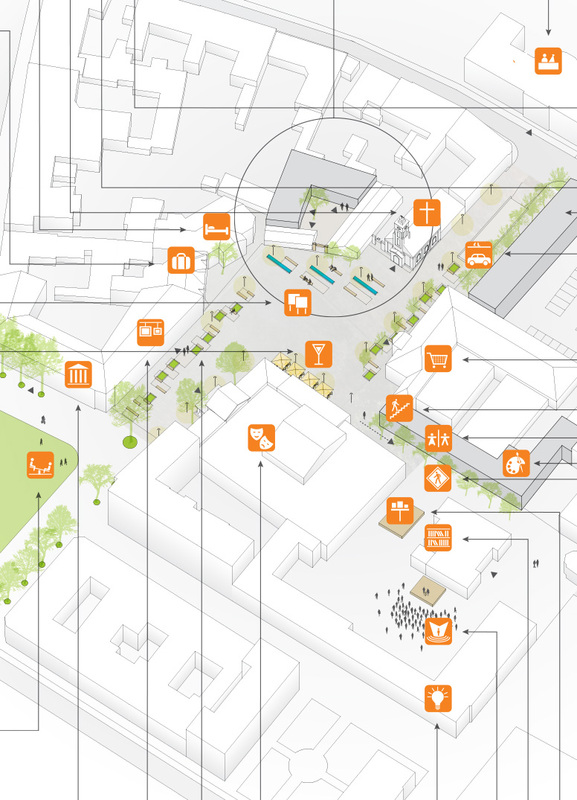 The illustration of a spatial program of a public space around a square in Sombor, Serbia as seen by Domus architects for the competition on urban regeneration of the Sombor square Trifković. 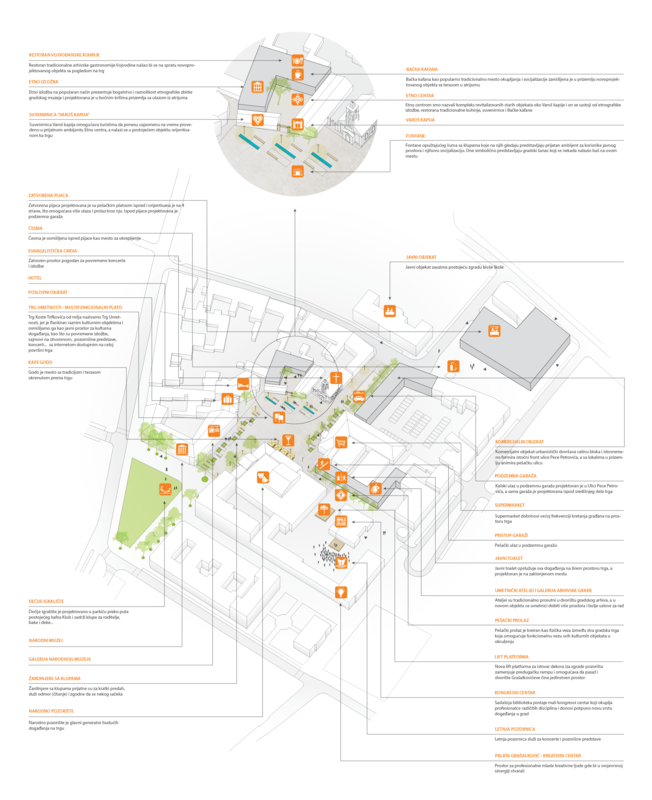 My work on the project is the creation of this explanatory 3D infographic – diagram for the team of architects at Domus Arhitekti. 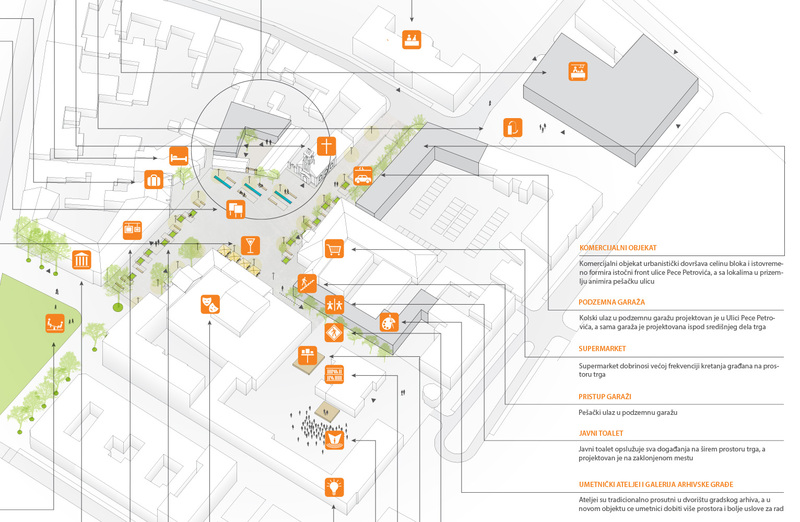 The illustration shows the existing as well as the urban design imagined by the authors of the project and the new facilities and uses explained in the text boxes.